After the release of the hate film /trailer ('The innocence of Muslims'), more people in the west want to know about Prophet Muhammad(صلى الله عليه وسلم) now. And they usually have not more than 5 minutes to spare for doing that. Hence we decided to make an English language film/video for western audiences. The idea was not to attack any person or country or seek revenge for the lame film that insulted the Noble Prophet. The idea behind this 5 minute film is to provide quick information to the curious audiences who are now thirsting for more information on the Holy Prophet -information other than what their own media is showing them. The offensive and blasphemous film is rightly and clearly seen by western audiences as being 'vicious', 'hateful' and 'far from the truth'. This is how the world has rightly perceived 'The innocence of Muslims'. But this has left unanswered questions in their minds. If that film was so obviously 'false', then what is the truth? 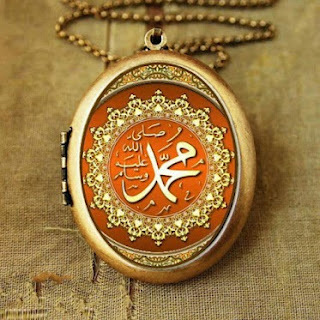 Who is Prophet Muhammad? People who were not aware of the Apostle of Allah are now made aware of him. We decided to quickly put together an English language film which was informative and short and specially designed for audiences living in the west who have limited information about the Prophet. The ideal thing for us would be to use stories to engage the audiences and deliver our message instead of verbose information. But that would have needed much more time and bigger budgets which we didn't have. So we decided to use a 'voiced' visual style that the western audiences could relate to. We got the 'voicing' done overseas via the internet so that the language and the accent was relate-able. We also purchased 'geographically neutral' HD footage on-line to keep our film relate-able. It was difficult not being able to direct the voice actors in person, but we managed to go back and forth with the takes and finally got it done. This film is not designed for Muslim audiences nor is it designed for non-English speaking audiences. But I am sharing it with my Muslim friends here and elsewhere so that they may also share it and it reaches the intended audience by repeated sharing. I wanted to post this on youtube too so that the huge youtube community can watch it... But I am unable to do so because of the youtube ban here. If you need a version without the watermark then please feel free to contact us.